The term ?mosaic? derives from the later Latin ?musaicum (opus)?, it was the work of dedication, of inspiration, namely of proximity to the muses. The mosaic is a popular genus known from ancient times, the painting technique of differently coloured or shaped parts made of stone, glass, paper or fabric to yield a picture or pattern was liked all over in Antiquity. They existed as black and white geometric patterns, but soon were further developed into a highly sophisticated iconography which was as detailed as mural paintings. There are well-known late antique mosaics, especially those that can still be seen in Ravenna, Italy. In the area between Euphrates and Tigris in Mesopotamia, near the city of Ur, one of the oldest mosaics was found. It dates to the Sumerian period (around 2500 - 3000 B.C.) and displays columns of palm trunks that have a sheathing with asphalt (mixture of bitumen and aggregates) and are decorated with mosaic tiles. Mosaic tesserae were however already at this time also used as a material for decorating wall friezes in buildings and as ornaments for jewelry boxes. Mosaics were one of the art products that were loved by the Romans and can be found in all parts of their Empire. Many floors and walls in residential buildings of the upper social class were decorated with mosaics. In the first century, especially black and white mosaics were popular, with geometric motives dominating. In contrast, figural representations are rare and became only popular during the second century. Interestingly, the same fashion was followed by Jews and Christians. Since the second century, however, more and more multi-coloured mosaics were developed and soon classical mythological themes were added to the geometric motives. Well-known late antique mosaics are located among others in the Italian Ravenna. There are some fantastic Roman mosaics, which date from the period of the Roman occupation in England. 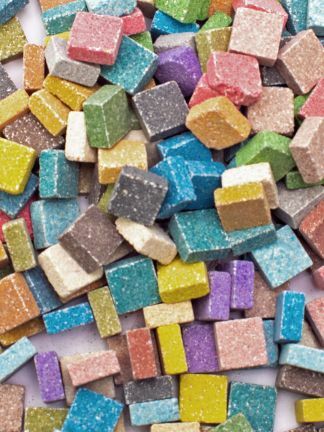 You will find beautiful mosaic tesserae for crafting your own Roman mosaic on the "mosaic" pages of our shop. We also provide you with templates to create your own mosaic ornaments. If you want to cut down the different tesserae in even smaller pieces, you can use the pliers which we also offer. 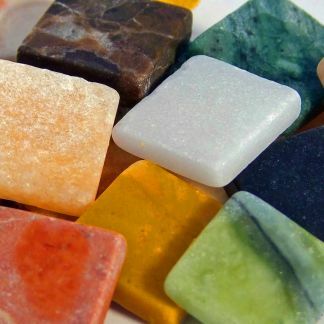 Stone marble, Ceraton and Byzantine mosaic stones are offered in various sizes and colours. 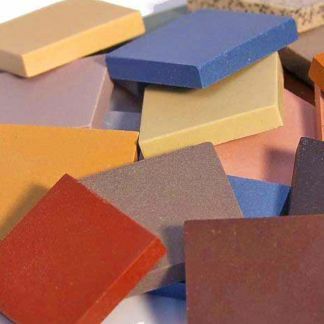 With water or tempera paint, students can even colour the prefabricated tiles from the Roman Shop and develop their own colour scheme. We provide both, a template for various pictures and formes and individual stones either precoloured or ready you?re your own colouring. Create your Roman helmet of a gladiator, a Roman temple or even Roman slippers, the students will have fun with the variety of shapes and colours.